100% Rhodium plated brass rings. With emerald coloured cubic zirconia. 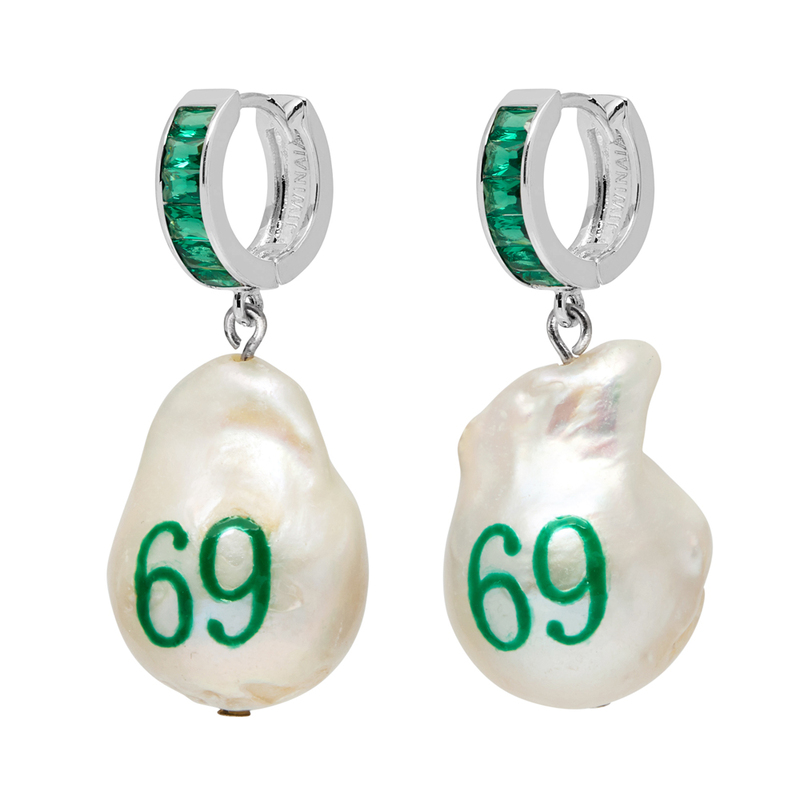 Engraved pearls, hand painted green enamel.